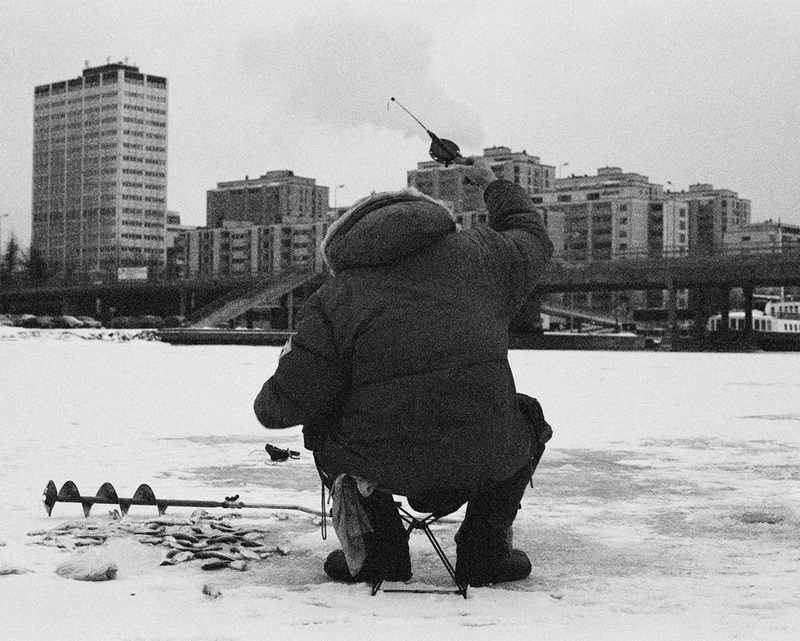 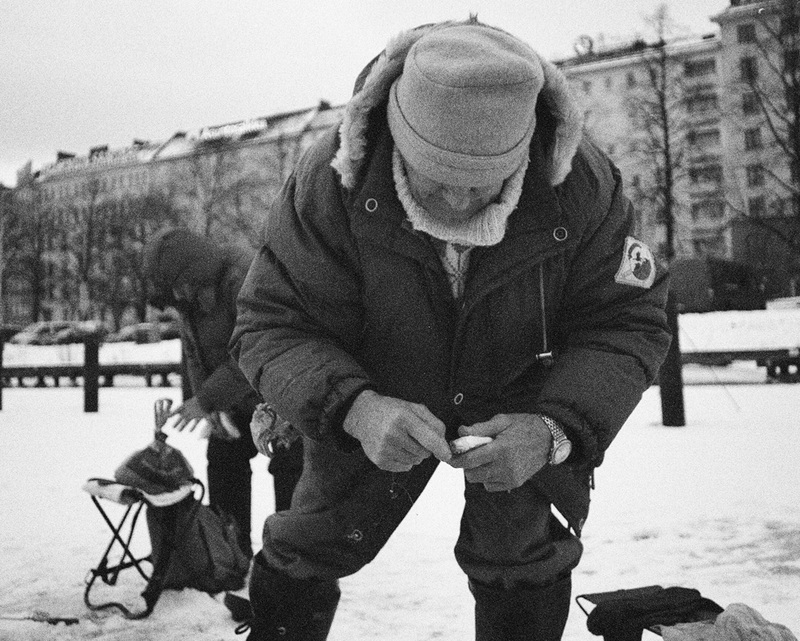 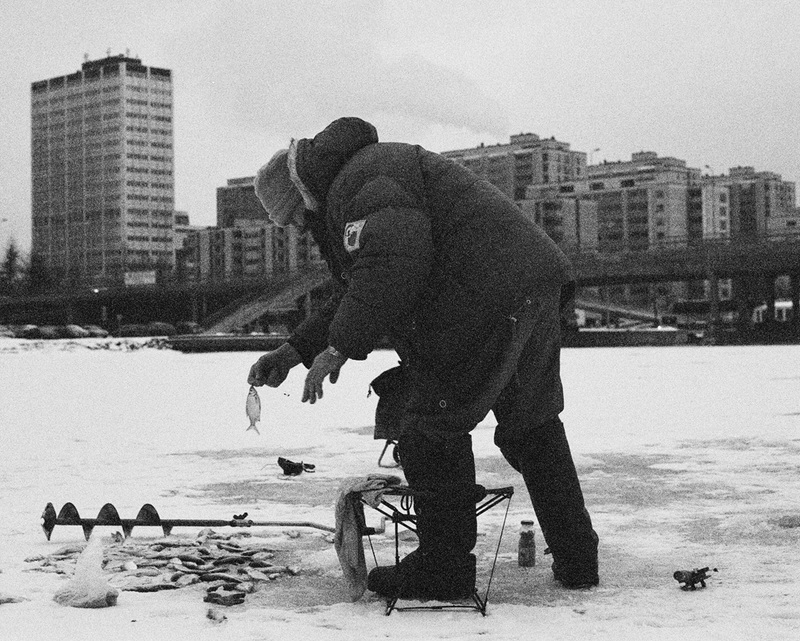 Ice-fishing in Finland falls within the scope of public rights of access – you don’t need any licences to go ice-fishing. 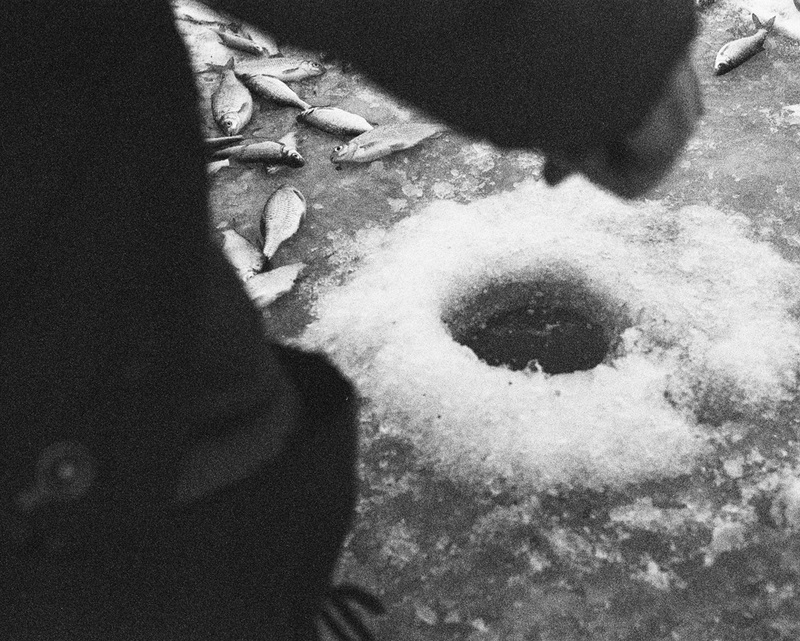 A spiral auger is used to drill a hole in the ice. 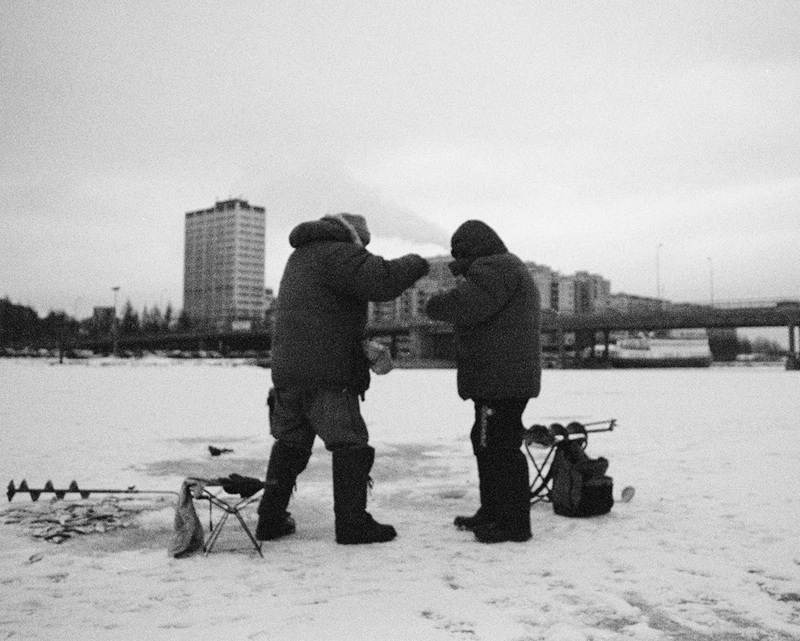 These two men cought plenty of perch at Kaisaniemenlahti Bay Helsinki.